225/45 R17 Continental ContiSportContact 5P 91W RunFlat 9 070 руб. 225/45 R17 Continental ContiSportContact 5P 91V 7 080 руб. 225/45 R17 Continental ContiSportContact 5P 91Y 6 780 руб. 225/50 R17 Continental ContiSportContact 5P 94W RunFlat 10 770 руб. 245/40 R17 Continental ContiSportContact 5P 91W 9 720 руб. 245/40 R17 Continental ContiSportContact 5P 91Y 9 440 руб. 245/45 R17 Continental ContiSportContact 5P 95W 9 830 руб. 225/45 R18 Continental ContiSportContact 5P 91Y RunFlat 13 410 руб. 235/40 R18 Continental ContiSportContact 5P 95Y 11 550 руб. 235/50 R18 Continental ContiSportContact 5P 97V 12 420 руб. 245/40 R18 Continental ContiSportContact 5P 97Y 11 800 руб. 245/40 R18 Continental ContiSportContact 5P 97Y RunFlat 14 360 руб. 255/35 R18 Continental ContiSportContact 5P 94Y XL 13 410 руб. 225/35 R19 Continental ContiSportContact 5P ZR XL 8 750 руб. 245/35 R19 Continental ContiSportContact 5P ZR XL 12 500 руб. 245/35 R19 CONTINENTAL ContiSportContact 5P ZR XL 13 280 руб. 255/40 R19 Continental ContiSportContact 5P 100Y 14 680 руб. 265/35 R19 Continental ContiSportContact 5P ZR XL 15 000 руб. 265/35 R19 CONTINENTAL ContiSportContact 5P 98Y XL 18 060 руб. 285/45 R19 Continental ContiSportContact 5P 111W RunFlat XL 18 640 руб. 235/40 R20 Continental ContiSportContact 5P 96Y XL 25 900 руб. 245/40 R20 Continental ContiSportContact 5P 99Y XL 17 000 руб. 255/35 R20 Continental ContiSportContact 5P 97Y XL 15 000 руб. 255/35 R20 Continental ContiSportContact 5P 97Y XL 24 250 руб. 255/40 R20 Continental ContiSportContact 5P 101Y 19 050 руб. 275/30 R20 Continental ContiSportContact 5P XL 13 500 руб. 275/35 R20 Continental ContiSportContact 5P 102Y 19 350 руб. 285/30 R20 CONTINENTAL ContiSportContact 5P 99Y XL 21 530 руб. 305/30 R20 Continental ContiSportContact 5P 103Y 24 270 руб. 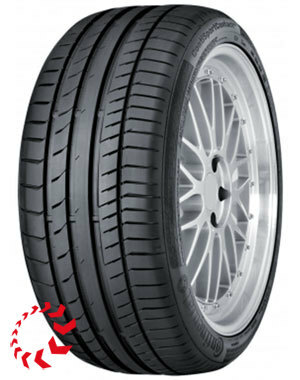 325/25 R20 Continental ContiSportContact 5P ZR XL 7 500 руб. 245/35 R21 Continental ContiSportContact 5P 96Y XL 20 890 руб. 255/40 R21 CONTINENTAL ContiSportContact 5P 102Y XL 23 320 руб. 265/40 R21 Continental ContiSportContact 5P 101Y 20 160 руб. 275/35 R21 CONTINENTAL ContiSportContact 5P 103Y XL 32 560 руб. 285/35 R21 CONTINENTAL ContiSportContact 5P 105Y XL 24 580 руб. 295/35 R21 Continental ContiSportContact 5P 103Y 19 500 руб. 325/25 R21 Continental ContiSportContact 5P ZR 7 000 руб.